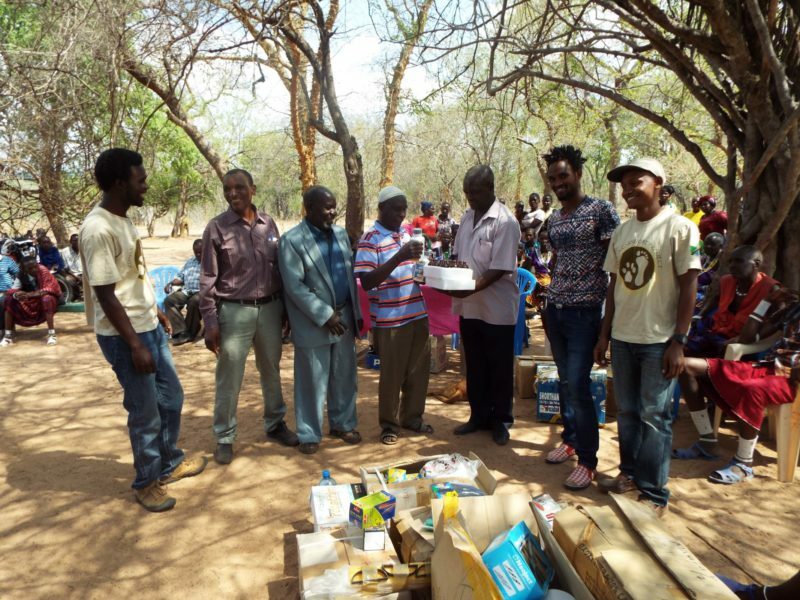 Providing benefits to local communities from wildlife presence is a key part of reducing human-wildlife conflict, so we have developed multiple benefit initiatives such as Kids 4 Cats, Simba Scholarships, the porridge project, and programmes on veterinary medicines and healthcare. However, over time, we realised that although these programmes were highly appreciated by local people, all too often people saw them as benefits coming from the project, rather than being linked directly to wildlife presence. It was possible for people to receive multiple benefits and still go and set out poison and snares, and it was not clear that the people who lived alongside most wildlife and who suffered most costs were the ones who received most benefits. Simultaneously, we were trying to expand our camera-trapping programme on village land, but found that many camera-traps were being stolen, either because people were suspicious of the traps and did not know their purpose, or because poachers did not want us to know what was happening on village land. 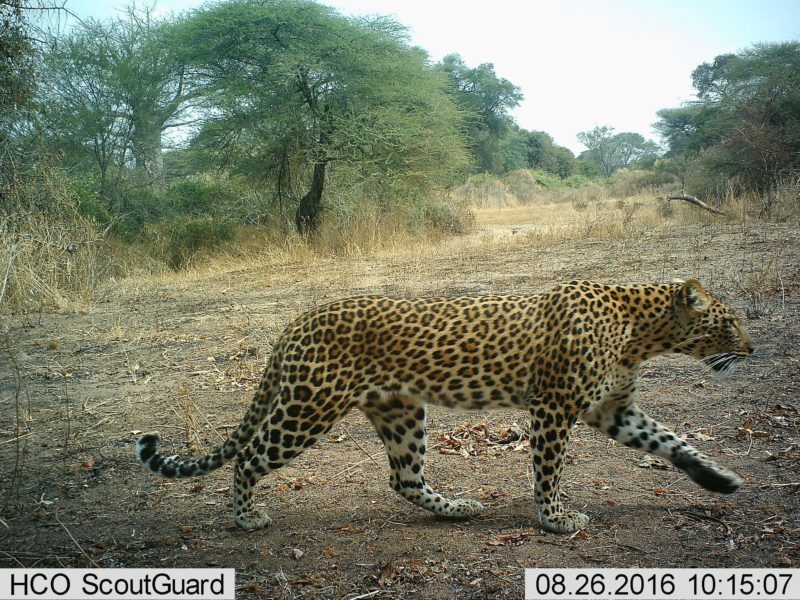 To address all these issues, we developed the community camera-trapping programme, where instead of setting out camera-traps ourselves on village land, we train and employ local villagers to do it. We discuss the programme with the village leaders and wider villagers, and they select two people who we train as ‘community camera-trap officers’ for that village. Then we equip the officers with camera-traps, bikes and GPS units, and they place the camera-traps in the best areas of village land for wildlife. 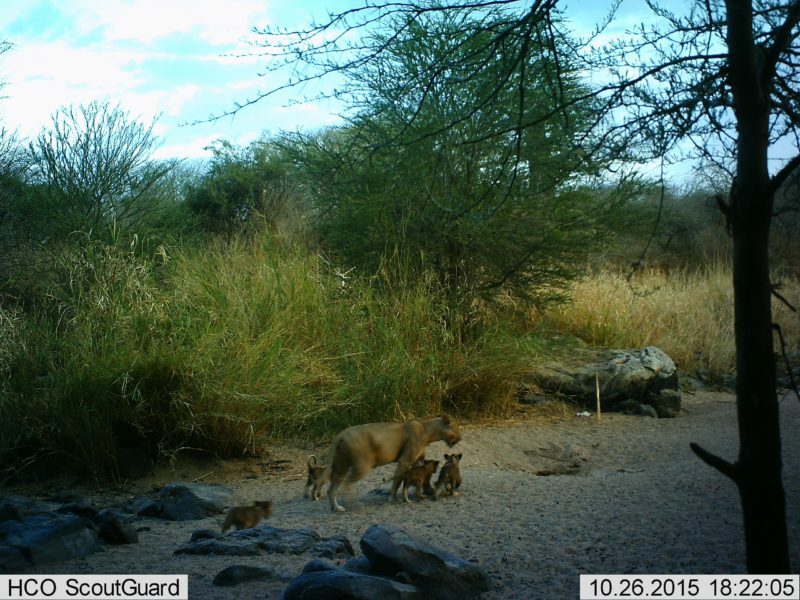 Every image of a wild animal captured on the camera-traps generates a certain number of points, depending on the likely conflict risk and endangerment of the species concerned. For example, a dikdik generates 1000 points, while a lion will generate 15,000 points and an African wild dog is the top spot at 20,000 points. We organise villages into groups of 4, and they compete against each other on a quarterly basis, to see who can generate most points. The winning village for each quarter receives around US$2000 worth of additional community benefits (currently split equally between healthcare, veterinary medicines and education, as they were the top local priorities), while the second village receives US$1500 worth, the third US$1000 worth and the fourth US$500 worth. 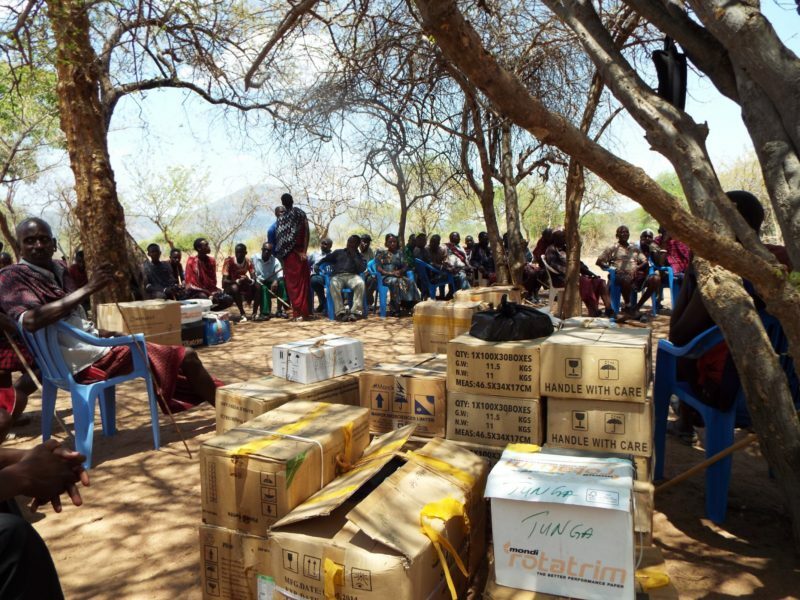 At the end of the quarter, we hold a celebration (known locally as a sherehe) in the winning village, and distribute benefits to all 4 villages. We also show images to all the villages, so they can see and learn about the wildlife which is being photographed on their land and directly generating these benefits. This has been one of our most significant programmes – it engages and trains local people directly in wildlife monitoring on their land, and demonstrates an extremely clear link between the presence of wildlife (especially carnivores) and the provision of local benefits. This has been recognised by the local government, village leaders and Park authorities as making a real impact both on local development and conservation. The most critical part is that villagers keen to increase their benefits through greater wildlife populations can do so in many ways, for example by limiting poisoning, traditional hunts or bushmeat snaring, and/or by setting aside specific areas of land for wildlife. This programme is providing invaluable data on wildlife populations on village land, but more importantly is generating real conservation impact. For the first time, we have seen communities really recognise the value of wildlife on their land, and we have seen women in particular press for action against people who are killing wildlife, as they see that it is the presence of those animals that helps educate their children and provides vital healthcare. 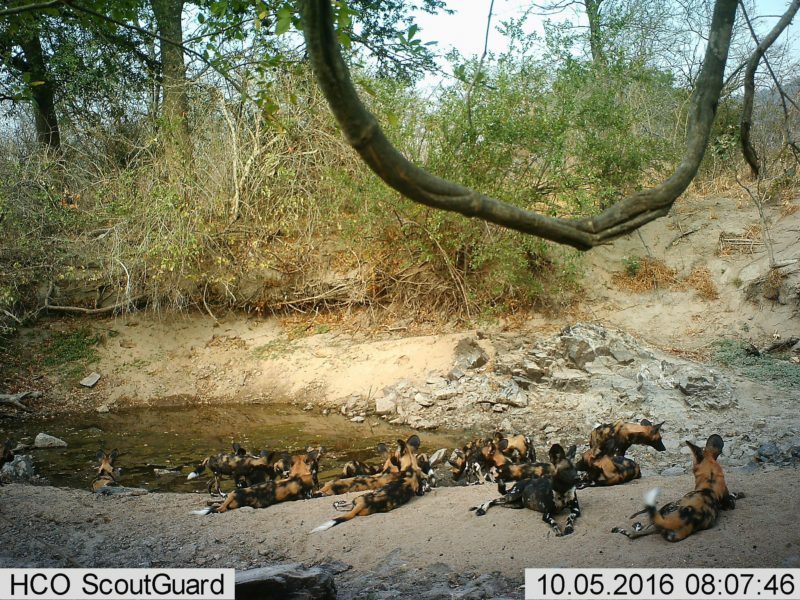 Villagers have realised that because points are given per individual, it is a major positive if they find a wild dog or hyaena den on their land, as camera-traps there generate many points. The fact that people now look out for and want to conserve these dens is incredible, as very recently such dens would have been poisoned or burned out.